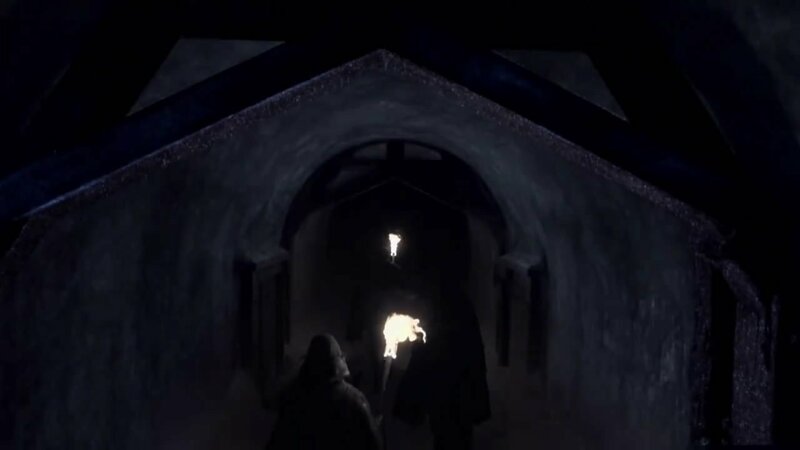 Rangers of the Night’s Watch riding through the tunnel in the Wall. We imagine much of the location is in fact rendered digitally, perhaps even all of it, which is pretty amazing. We particularly like the attention to detail evidenced here, with the doors to either side that would lead into the storerooms carved into the base of the Wall for the purpose of preserving meat and other perishables.